"Practical and straight-talking, Phil’s down to earth manner means you will receive clear and concise advice." As the head of the firm’s Wills and Estate Practice, Phil is a multi-skilled lawyer with experience across several fields. Phil currently assists clients in the areas of Wills and Estate and Family Law. Practical and straight-talking, Phil’s down to earth manner means you will receive clear and concise advice. 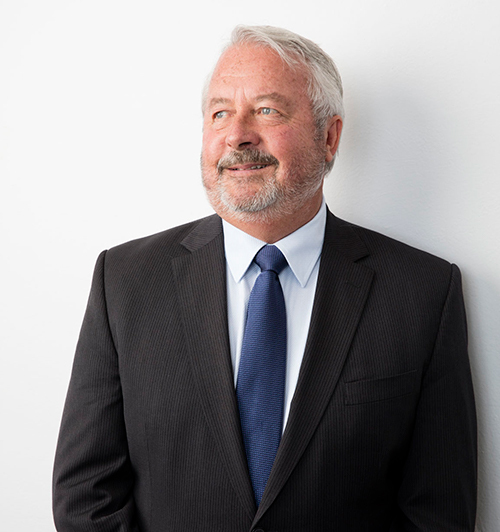 With 35 years experience as a lawyer, Phil initially practised as a commercial lawyer in Sydney for 16 years before retraining as a family lawyer. Whether it be in the planning, dispute resolution or litigation stage, Phil applies this expertise when assisting clients in complex family law property disputes or estate matters. With his knowledge in commercial fields including banking, finance, insolvency and commercial litigation, Phil can deliver multilateral strategies and creative solutions to help you achieve the best possible outcome in complex family law property and estate disputes. Phil’s strategic planning expertise is applied to structure your estate effectively and minimise future claims against your property and assets from spouses or relatives. Phil’s drafting skills are second to none and you will see this in his written work, particularly in his special interest area - preparing Binding Financial Agreements for family law clients. While Phil is an accomplished litigator and can represent you in family law and estate litigation, he is also a nationally accredited mediator and is the Deputy Chair of the Australian Institute of Family Law Arbitrators and Mediators (AIFLAM). Understanding the benefits of the early resolution of disputes, Phil adopts a settlement focussed approach to your matter. His passion for alternate dispute resolution processes can assist you in avoiding the stress and expense of litigation.